About Paul L. Krawitz, M.D. Dr. Paul Krawitz is a High Honors graduate of The University of Michigan, and received his medical degree in 1985. He is a member of the prestigious Alpha Omega Alpha Medical Honor Society. He completed an additional year of sub-specialization in Glaucoma at Mount Sinai under the direction of Doctors Steven Podos and Carl Camras, both recognized as world leaders in that field. Dr. Krawitz is a member of the prestigious American Glaucoma Society. Dr. Krawitz holds the academic position of Assistant Clinical Professor of Ophthalmology at Columbia University College of Physicians and Surgeons in Manhattan. He is a frequent lecturer at professional ophthalmic meetings regarding his highly successful surgical techniques for cataracts, glaucoma and specialty intraocular lenses. In his position as President and C.E.O. of Vitamin Science, Inc., Dr. Krawitz holds several patents and trademarks for nutritional supplements that support eye disease. He was a partner of Huntington Eye Care Associates since 1993. In that time, he has become one of the countryâs most highly sought and professionally recognized eye surgeons. Dr. Krawitz performs over 1000 ophthalmic procedures annually, including laser-assisted cataract surgery, the most modern therapies for glaucoma, and treatment of macular degeneration and diabetic retinopathy. 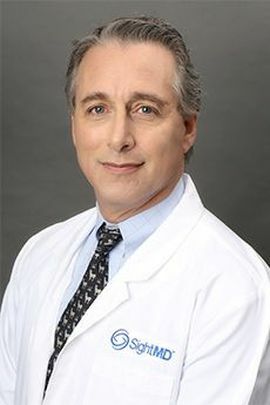 Dr. Krawitz is a Diplomate of the American Board of Ophthalmology and a Fellow of the American Academy of Ophthalmology. He is an elected member of the prestigious American Glaucoma Society. Dr. Krawitz is an active member of the Long Island Ophthalmologic Society, The Suffolk Academy of Medicine, and the American Medical Association.